I am writing you regarding an issue that is very important to small business owners across the state. As I know you are aware, the Water Authorities in Virginia have recently been billing landlords for tenants unpaid water bills. Apparently this has become such an issue that the Virginia Housing Commission hosted a conference with the following associations in an attempt to develop a solution to the issue. The Virginia Association of Realtors. Unfortunately they invited associations that aren’t directly impacted or are impacted in a very limited manor regarding this issue to the conference. Real Estate Investor Associations (REI’s) are all across this state. There are REI groups in most cities in Virginia. REI groups consist of single family to small multi family property owners. These large apartment complexes that the apartment associations represent do not typically have their water split up with individual meters on each apartment so this issue does not affect them as they pay the water bill, not the tenant. REI groups across the state are very concerned with the new proposed legislation HB 567 that the Housing Commission and Associations that have no stake in the issue have suggested. Us small property owners simply can not afford to guarantee any portion of a tenants delinquent water bill along with all of the other costs involved with running our businesses. We are also fearful that this legislation will be the last nail in the coffin allowing new legislation to be passed where the property owner will be guaranteeing all utility bills including gas and electricity. The power company in our area is already attempting to tell property owners that they will also not allow the power to be turned on unless the previous tenants delinquent bill is paid. Quite frankly we do not feel it is moral or ethical for a third party to be responsible for a product or service that we had no beneficial use of. 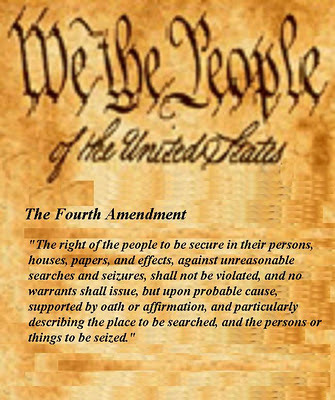 This is a violation of contract law and if this violation is continued to be allowed our rights will be dramatically impacted. A landlord does have the ability in Virginia to collect up to 2 months security deposit however during these trying times people quite simply don’t have it. If we are able to get one full month of security deposit that security deposit is most often gone anyway because tenants often like to skip out on the last month of rent and there are almost always damages that have to be taken care of to get the property back in good condition. I see no reason why a small property owner with single family or small multifamily properties should be responsible for someone else’s actions. Peoples accountability for their own actions is a very important thing in our society. And the Water Authorities accounts receivable should be collected strictly by the deposit they receive when the tenant contractually agrees to set up an account with them and their special ability that they presently have to collect directly from their tax return if they have not paid. I would like for you to strongly consider voting against HB 567 or any package of bills that it is in. - New requirement for a landlord to send in a written authorization allowing a tenant to put the water in their name in an attempt to show that the tenant had no previous right to use the water in a property without a landlords written consent. This new provision legally positions the Water Authorities in a manor that they are not breaking contract law as the service is provided as a benefit to the landlord and not the tenant. 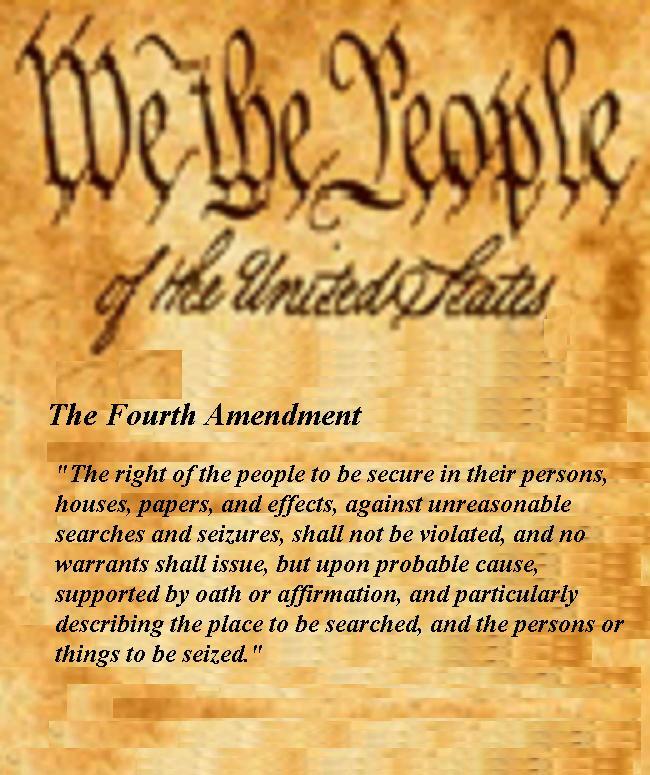 By using this form we are signing our rights away. - The Water Authority has been given the right to shut off the water after one month of non payment and 2 additional months. After 3 months total they can put a lien on a landlords property if the tenant doesn’t pay. Tenants are already starting to figure out that they can move out and not pay their bill and it will go on the landlord. The Authority has the right with this bill to add 20% to the lien to the landlord. - The Water Authority with this new bill will no longer have to file a judgment against the tenant. They can simply go directly after the landlord. And landlords will have no way of determining whether or not a tenant they are renting to has previous delinquent water bills as we check tenants credit and if there is no judgment than we have no way of telling. - The Water Authority does not have to collect a deposit from a Section 8 tenant and still has the right to give a landlord the full lien. - If there is an existing lien from an unpaid tenant bill the Water Authority has the right to shut off the water at the house essentially shutting down our small business. 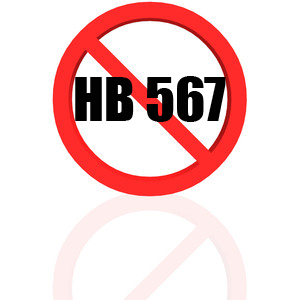 Please stand behind the small business owner by voting against HB 567 as this is an issue that is very important to us. USDA turn times for loan closings-Sellers beware! As a result of the political climate RD was forced to offer early retirement to many of its staff and Virginia was one of the hardest in the Nation with these reductions. So they centralized their operations and submission centers that began on December 5th. With the holidays and through the adjustment to the implementation of this new process they have gotten so far behind that they were working on files from December 14th as of late yesterday with the goal to get to 15th today. He did say that they hoped to catch up more quickly now that they didn’t have any more holidays for a while and that some of the days in December towards the end were Holidays and files were not received. He told me also that they have been given strict orders due to discrimination concerns they can’t pull one file and move it in front of another no matter what the reason is so. He assured me all lenders are receiving the same treatment and no one is getting better turn times nor service. They are not allowed to work over-time and have not been given Congressional authority to hire additional people…So it is what it is at this point. The good news is that he said that they believed that they would begin to be able to get the turn times down gradually over the next few weeks and that they are lobbying hard for Congressional hiring authority. He said we could do our part by letting our Congressmen know the budget cuts affect on Rural Housing. He seemed sincere in turning their problems around but was honest that it was going to take time and patience from everyone. The only thing we can control on our end is the communication to our Realtors, Clients, and how we prepare for our closing dates, locks, etc. I would recommend for setting 60 day closings with 60 day locks until it gets better. Here's another one for the band wagon!!!! As a result of the Temporary Payroll Tax Cut Continuation Act of 2011, effective base pricing to accommodate the increased loan guarantee fee (G-Fee) for all Conforming Conventional (including High Balance) you will begin to see pricing adjustments next week from nearly all investors and an increase in rate lock extension fees..some of these will range from 25 to as much as 50 basis points….so if you have clients floating loans be careful…and watch your extension costs. The pricing will be adjusted in the rates so there will e no need for further manual adjustments to the prices you get through Nylx, but you do need to be aware of this additional price that will be “baked in” thanks to our Government starting next week. This only affect loans backed by either Fannie or Freddie so it does not apply at this time to government loans. Yes that’s right..for a 2 month extension of the Payroll tax cut of 2% for all Americans…they decided to pay for it by Fannie Freddie charging servicers additional fee’s. This ofcourse gets’ passed all the way through the channel to the consumer. But no one’s raising taxes right? Call your Congressmen and let them know that even though consumers might not realize this is a cost to the housing market that you are fully aware of it and it was a spineless way to pay for a cost for a 2 month (yep only 2 months for a fee that has no limit on how long it may continue) extension to a payroll tax. If you want the housing market to revive ask them why they put another tax on it? A comprehensive (read: long) and chart-filled update on housing suggests the bottom may largely be in. Pricing may have more downside and real mortgage rates need to decline further, but most other metrics are flashing green. New themes: housing becoming "local" again, and for now, renting is trumping buying. I'm honored to be in my 10th year as Schwab's chief investment strategist, and over that time have written countless reports. One of the most widely read and quoted was my "Housing: ARMed and Dangerous" report in late 2006. It represented my broad thoughts on housing at that time, which were quite dour, as longer-time readers might remember. It was one of those times I wished I had been off-base with my concerns. Fast-forward to 2012 and it's time for a fresh look at housing. My conviction level does not match that in 2006, but I do think the tide is turning for housing and that the bottom is largely in. That said, one of the key characteristics of housing going forward brings us back to one of its key characteristics historically, save for the bubble period: housing is becoming "local" again. During the real-estate bubble's inflation and subsequent bursting, housing could be analyzed nationally and somewhat monolithically. The rising tide was lifting all (house) boats, and when the tide went out, it took everything with it. But what we're beginning to see is a broadening of conditions, with a widening spread between the have and have-not regions of the country. Another theme of the real-estate recovery is rent versus own, with a sharp bias recently toward the former. Although a recovery in housing is by no means consensus yet, there have been some notable adherents to the view. A recent article in The Wall Street Journal chronicled a number of large hedge funds that are starting to "wager on housing." Hedge funds run by Caxton, SAC, Avenue, JHL and Blackstone have been upping their housing-related investments, while formerly bearish research firm Zelman now predicts a housing rebound, as does Goldman Sachs. The stock market appears to agree, with homebuilding stocks—as measured by the S&P 500 homebuilding index—up 78% since the market's early-October 2011 lows (through Jan. 13, 2012). The fourth quarter of 2011's outperformance by homebuilders was the largest in a single quarter since the third quarter of 2008 (which occurred mostly before the Lehman Brothers meltdown in mid-September of that year). Recently reported was the fourth consecutive increase in the National Association of Home Builders (NAHB) index, taking it nearly back to its pre-Lehman peak, and achieved without the "artificial" support of the homebuyer tax credit. As you can see in the chart below, the index is now signaling a much higher pace of home sales. Assuming the relationship between the two remains connected, we could see sales increase to a level not seen (without tax policy support) since the pre-Lehman days. Caveat: this would still be well below the boom peak of more than eight million. Source: FactSet, NAHB, National Association of Realtors, US Census Bureau, as of January 2012. As you can see in the chart below, sales of existing homes have already rebounded from their 2010 lows, while sales of new homes have leveled out over the past couple of years. Source: FactSet, US Census Bureau, as of November 30, 2011. And pending home sales have really accelerated, a key leading indicator for future activity. It's also encouraging that National Association of Realtors (NAR) data show that the bulk of the recent rise in existing home sales has been driven by first-time buyers. This strength is likely partly due to banks starting to lend a bit more freely. Source: FactSet, NAR, as of November 30, 2011. Construction has been trending higher, with both single-family and especially multi-family building permits up since early 2009. And, as you can see in the two charts below, housing starts appear to be bottoming for single-family homes and have started a sharp V-shaped recovery in multi-family units. Overall, starts remain well below their peak, but the "law of small numbers" means the percentage increases are significant and will continue to be. Record-low mortgage rates, an improving jobs picture, greater credit access and rising demand for apartments are all driving starts. In large part due to the strength in housing, ISI recently upped its fourth-quarter 2011 gross domestic product (GDP) estimate from 3.0% to 4.0%. As I noted in the introduction, the recent bias toward renting over owning has been a huge support for the multi-family sector of housing. The severity of the prior collapse in home sales and prices, coupled with a serious squeeze in mortgage loan access, have pushed many people toward renting instead of owning. In fact, nationally, the rental vacancy rate has dropped from a record high of 11.1% in the third quarter of 2009 to 9.8% in the third quarter of 2011. There remains downward momentum in this rate, which suggests the turn we've seen in multi-family units has legs going forward. The rent versus own is borne out in the data seen in the chart below. Not since the early 1980s has the number of renter-occupied units exceeded owner-occupied units. But don't equate rentals solely with multi-family housing. More than half of all rentals are in buildings with four or fewer units, including one-third that are single-family homes. Source: FactSet, US Census Bureau, as of September 30, 2011. Why rent? Renting doesn't require a down payment, there's no need to qualify for a mortgage, it provides greater mobility and maintenance is pushed to the landlord. But vacancies are falling and rental rates are rising, so the rent over buy will not last in perpetuity. Unquestionably, this can be seen as the slow fade in the "American Dream," which is sad in many ways. But when the ownership rate was peaking alongside the bubble's peak, it was artificially supported by absurd lending practices, bubble prices, limited-to-no down payments and questionable loan documentation. We're now erasing those excesses, and that's good for the long-term health of the housing market. There are presently about four million potential foreclosures in the pipeline, with Ned Davis Research estimating another 2.5 million people losing their homes. That would take the homeownership rate back to 64%, in the range that prevailed from 1985 to 1994. No surprise is the fact that homeownership rates have fallen most precipitously in those states with the largest housing busts, and with younger households having taken the biggest hit. A longer-term story about rent versus own is that rising rents will eventually push would-be buyers to purchase homes—a process could begin sooner than many expect. Staying on the subject of states and local economics, we're seeing housing conditions revert back to the "old normal" when the spread of results around sales and pricing was wider and driven by the local economics, including of supply and demand. Based on the Case-Shiller 20-City House Price data, there are five major cities now with rising prices: Denver, Washington DC, Charlotte, Tampa and San Diego. Bringing up the rear (in order from bad to less-bad) are Atlanta, Detroit, Minneapolis, Las Vegas and Chicago. Looking forward, employment is a leading indicator for improvement in housing, and the top five states for job growth are Mississippi, Oregon, Nebraska, Tennessee and Alaska. Employment growth is weakest in Louisiana, Washington DC, Rhode Island, Utah and Washington (state). In terms of equity, the five states with the lowest share of mortgages in negative equity are New York, North Dakota, Oklahoma, Alaska and Pennsylvania. The states with the highest share of mortgages in negative equity are Nevada, Arizona, Florida, Michigan and Georgia. Finally, we can look at valuation of housing. According to Federal Housing Finance Agency (FHFA) data, which measures house prices to personal income per capita, the five most-undervalued states in terms of housing are Nevada, Arizona, Michigan, Georgia and California. The most overvalued in terms of housing are Washington DC, Alaska, Alabama, New York and Wyoming. "Visible" inventory has fallen sharply, as you can see in the chart of months' supply of homes below. In fact, the drop has brought this measure back down to its 30-year average. Caveat: there remains a multitude of homes in "shadow" inventory (homes in foreclosure pipeline or vacant but not-for-sale). Source: FactSet, NAR, US Census Bureau, as of November 30, 2011. The continued decline in home prices and the drop in mortgage rates to record lows make the affordability environment quite exceptional. Freddie Mac's measure of the average 30-year fixed mortgage rate is now less than 4.0%. They'd be even lower were it not for an elevated spread over the 10-year Treasury yield, reflecting concerns about the eurozone debt crisis and its impact on the lending environment. When combining record-low mortgage rates with flattish income growth and lower prices, you have record-high affordability, as you can see in the chart below. In fact, the burden of new mortgage debt has never been lower. According to Capital Economics, the monthly principal-and-interest payments on a mortgage used to buy the median-priced home with a 20% down payment were 12.8% of the median income in November 2011. To put this in historical perspective, that's down from nearly 40% in the early 1980s, when mortgage rates were in the double-digits. As noted above, mortgage rates are at record lows. But (and it's a big but), what matters more to prospective buyers is often the "real" mortgage rate. The real mortgage rate, seen in the chart below, is the nominal 30-year fixed rate minus the rate of appreciation/depreciation in home prices. On that basis, we probably need to see a greater drop to really stimulate demand. Source: FactSet, Federal Reserve, NAR, as of November 30, 2011. As you can see above, although we've come a long way from 22% real mortgage rates at the bottom of the housing market (when prices were imploding), we're nowhere near the bubble peak, when real mortgage rates were deep in negative territory (when prices were exploding). Unfortunately, the rate at which home prices have been falling accelerated toward the end of last year. However, that rate is unlikely to be sustained now that activity is improving. In fact, as seen in the chart below, with total home sales having rebounded and their tendency to lead prices, the likely path of least resistance for prices should soon turn up. Source: FactSet, NAR, Standard and Poor's, US Census Bureau, as of November 30, 2011. The year-end 2011 weakness in prices was probably a lagged response to the very weak economy and home sales in the first half of last year. Of course, since then the economy has staged a notable re-acceleration. The balance presently between supply and demand is consistent with prices stabilizing by about mid-year 2012, only about six months from now. In terms of magnitude of possible additional price depreciation, it appears we're only less than 10% away from a pre-bubble average based on the FHFA Purchase-Only House Price Index. One can also compare the prices of existing and new homes. As you can see in the final chart below, "used" (existing) homes have become extremely cheap relative to new homes. Presently, used homes are selling for less than three-quarters of the price of a new home, which is the widest gap since records have been kept (1968). When foreclosures have moved further through the pipeline and the excess supply of existing homes finally recedes, prices will begin to move back to the cost of a replacement home. And remember, the excess inventory doesn't have to be completely eliminated; it just needs to recede toward normal levels. Ned Davis Research estimates that the excess supply will be largely absorbed between the end of this year and the beginning of 2014. As for housing's impact on US GDP, 2011 was the first year since 2005 when residential investment was not a negative contributor to GDP. The consensus is for it to be neutral in 2012 and a positive contributor in 2013. But, the contrarian in me thinks we could be pleasantly surprised this year and see a positive contribution. Given where the expectations bar is presently set, it would be very pleasant indeed.